Today, at the 41st Annual World Tourism Conference in Kigali, Rwanda, Euromonitor International revealed the key trends shaping travel and tourism in Africa. 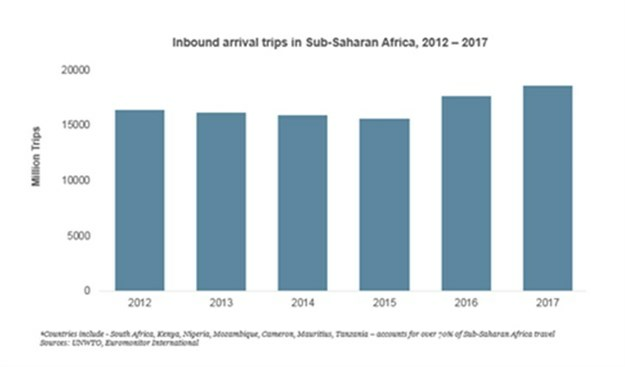 New data from Euromonitor International shows arrivals to Africa grew by 6.5 percent in 2017, to reach 18,550 million, up from 16,351 million in 2012. Key markets such as South Africa, Kenya, Nigeria, Mozambique, Cameroon, Mauritius, and Tanzania accounted for 70 percent of international trips to the sub-Saharan African region. This growth can be attributed to increasing interaction between various travel industry players and digital integration, using platforms such as social media, meta-search engines and the penetration of online travel agents. Other drivers include a growing short-term rental market, luxury travel, niche tourism, Meetings Incentives Conferences Exhibitions (MICE) and an increasing focus on domestic tourism. 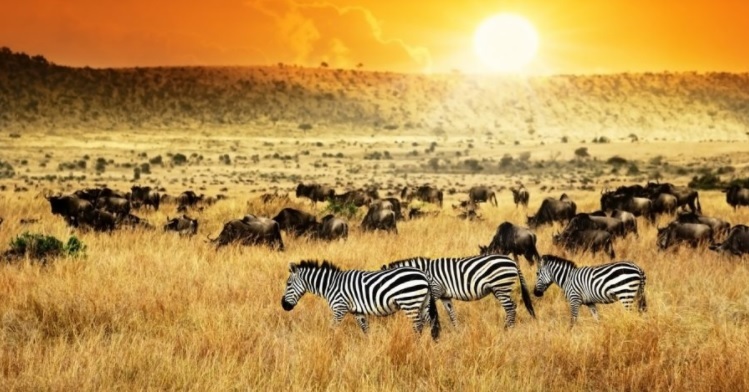 “Many countries are moving away from only promoting Africa as a traditional safari destination, exploring other niche categories such as beach and medical tourism. The travel and tourism market continues to introduce products that suit different type of travellers, accounting for strong growth in major cities across sub-Saharan Africa,” says Euromonitor Research Analyst Christy Tawii. Euromonitor predicts that growth in international arrivals to sub-Saharan Africa will reach 25,000 million trips by 2022. Arrivals to Africa are expected to see continued growth, driven by increased interest from overseas visitors due to competitive rates in comparison to other destinations with a similar offer. Aggressive brand marketing campaigns and the introduction of new and increased direct air connectivity to and from major overseas markets is also expected to boost inbound arrivals to the region. Key economies such as South Africa and Nigeria can expect strong growth in inbound trips. • Domestic trips: The number of domestic trips in Africa increased by 8% to reach over 40 million in 2017. Although many citizens do not have a travelling culture as it is generally perceived to be non-essential. Other key domestic tourism challenges include the perception that travel is not affordable, and that international tourists are more important than domestic tourists. Foreign visitors are perceived to have more spending power than locals and therefore travel is not affordable in the eyes of locals. Despite these trends, domestic tourism in Africa is increasingly gaining traction. Focus on domestic tourism is increasing across the region, owing to increasing purchasing power which is allowing local citizens the opportunity to explore their countries. • Travel players implementing multi-channel approaches: Online: Airline online sales lead overall online travel sales, accounting for 67% of total value sales. Digital migration is transforming the tourism landscape in terms of bookings, customer service and consumer behaviour. Players such as hotels, airlines and car rental companies are making use of a variety of platforms to engage consumers and increase traffic to their sites by using social media, affiliate programmes, and Meta search engines, etc. • Short-term rentals booming: Short-term rentals are estimated to have recorded a 12% increase in online value for 2017. Hotels are seeing a steady performance globally with annual growth rates of just over 3% predicted to continue until 2020. • Sharing economy gaining traction: The entry of peer-to-peer brands such as Uber and Airbnb is changing the competitive landscape of categories such as car rental and lodging. South Africa is the largest market in Africa for brands such as Airbnb – the awareness of the Airbnb brand is increasingly growing, with many South Africans joining as hosts and listing their outlets. This trend is expected to intensify competition as many travellers are increasingly seeking cheaper options. • Growing competition between low-cost carriers and scheduled airlines: Airlines led travel sales, generating sales of over $7bn in 2017. In South Africa, in an effort to remain competitive, many scheduled flights are also increasing capacity on popular routes such as Cape Town and Johannesburg due to growing demand. This trend has resulted in intensified price competition for local flights. As a consequence of these factors, competition between low-cost and state-owned airlines continued to intensify during the review period. • Expansion and development of luxury resorts and hotels: Hotels led value sales, accounting for 45% of overall lodging value sales. West Africa has represented more than half of the total and is still the largest single region today. Southern Africa has increased in importance. Lagos, as the largest city on the continent, continues to lead the top 10 by number of planned rooms, with over 4,000 planned rooms. Abuja, the capital of Nigeria, has the second highest number of planned rooms in the African pipeline, and together with Lagos accounts for 32 % of the rooms in the top 10. 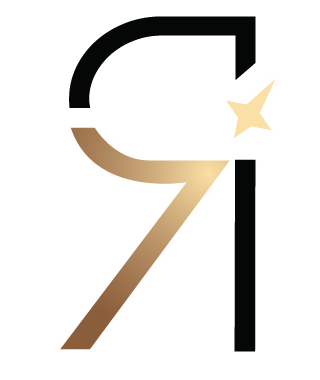 • Luxury travel: The travel market continues to introduce products that suit luxury travellers’ specific requirements and needs by offering chartered airline services, private yachts, luxury spas, safari camps and lodges, whose facilities are the equal of world-class cities. Luxury shopping is another major driver for many wealthy tourists to visit countries such as South Africa. South Africa is also one of the leading destinations for shopping in Africa due to its well-developed retail landscape. Luxury brands such as Louis Vuitton, Prada and Burberry have a presence in South Africa with stand-alone stores. • Niche tourism: Countries such as South Africa are a major medical tourist market, owing to the state of art medical facilities that country offers. Many international tourists are flocking to the country for procedures such as cosmetic surgery. Tailored packages for solo travellers are also predicted to be developed and become dynamic niche products.